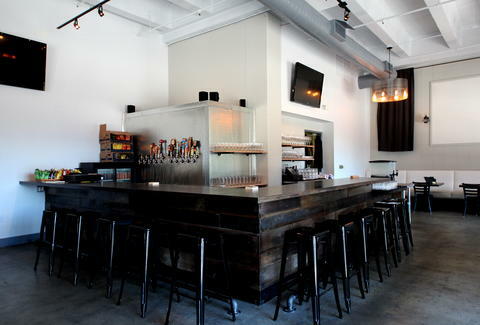 Just when you thought you'd never see one of those cool tap rooms that just opened in the TL and Haight also open in SOMA, Blueprint Tap Room has come along to prove you wrong in the best way possible: with double-fried wings and a wide swathe of crazy cool brews. 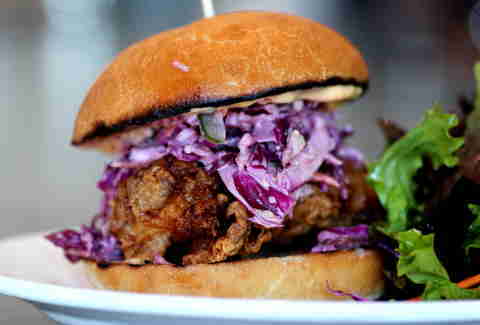 Masterminded by the current exec chef at Social Kitchen & Brewery, BTR serves epic tap room eats like pork belly fried rice and this fried chicken sandwich with cabbage-chili slaw, and (dun dun DUN!) sriracha aioli. 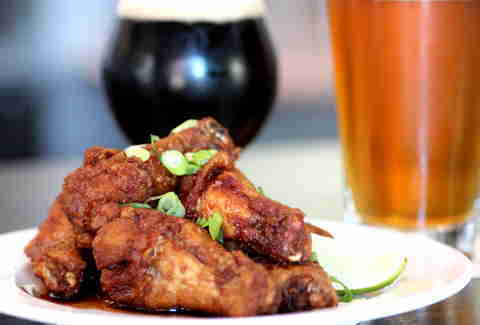 Plus they've got more bar-y, go-well-with-beer bites like bacon mac & cheese or these twice fried wings with garlic, soy, lime, and chili so good there'll be none left... eye. 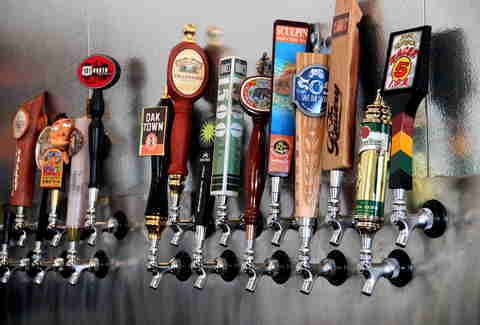 And then there are the go-well-with-food beers: they've got 17 mostly-Californians on tap, with some pretty rare gets like Anderson Valley Brewing's Bourbon Barrel Stout, two Social Kitchen Brewery originals (wonder how they got those...), and 101 North Brewing's Golden Naked, which thankfully doesn't have a golden… um, gun.